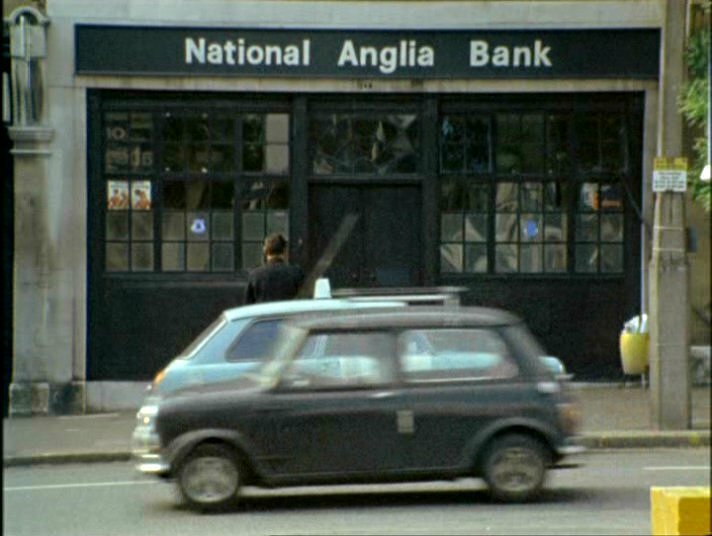 IMCDb.org: 1968 Austin Mini MkII [ADO15] in "The Sweeney, 1975-1978"
Since it doesn't have the chrome trim around the window door, I wouldn't call it a Cooper. Judging by the rear lights, it's a Mini MkII, but this type of bumpers belong only to the MkI. So, it's a mismatch (not to mention the enlarged wheel arches) that seems to be based on a 1968 model year Mini MkII. 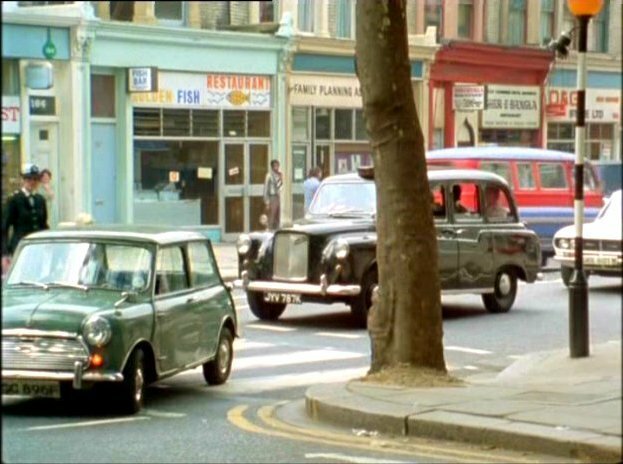 The thumbnail shows indeed a Mini MkII, but it's an Austin ( recognizable by its front grille ). You mean that the thumbnail is an Austin, but could the main picture be Austin too? antp wrote You mean that the thumbnail is an Austin, but could the main picture be Austin too? Yes, there's no way of telling if it's an Austin or a Morris from this angle.